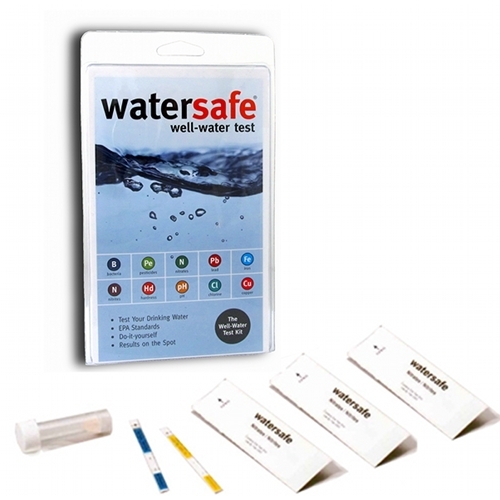 Well Water Test Kit was specifically designed to help you test quickly and easily for the 10 most common contaminants found in private wells: iron, copper, lead, bacteria, pesticides, nitrates, nitrites, chlorine, pH and hardness. Can be used on any treated or untreated drinking water source. Bacteria- strains of E.coli can cause serious illness or even death. Lead- causes developmental harm, neurological and kidney damage. Copper - causes liver and kidney damage in infants. Iron - causes staining in laundry, dishes, bathtubs and sinks. Clogs pipes and gives off offensive odor. Pesticides - from agricultural uses, linked to increased cancer rates. Nitrates- from fertilizers and animal waste, causes developmental problems. Chlorine - can increase cancer risk, gives water bad taste and smell. pH level- can cause heavy metal (lead) leaching and plumbing damage. Water Hardness - causes lime scale and higher detergent use. Really useful test kit and so easy to use. 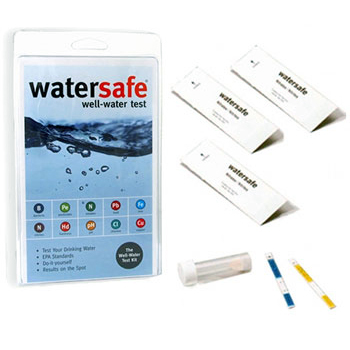 It was really important to me to test the water here and this test kit was great. I use, and would recommend this well water test kit to anyone with well water. I have a home in the country that has well water. I take my health very seriously, and always want to make sure what I put in my body isn't harmful. Having farms around your property (like I do) can sometime lead to contaminated wells, and this product can allow you to be confident that your water is safe for consumption. This is a very, VERY good product!